It is very important to teach middle school students about check writing. This is a valuable skill and kids, especially those getting summer jobs and subsequent bank accounts, should be able to do effectively. This lesson plan includes examples to aid you in teaching, ideas to demonstrate the lesson effectively in the classroom and a link to a free blank checks printable for your convenience. How to correctly write checks. 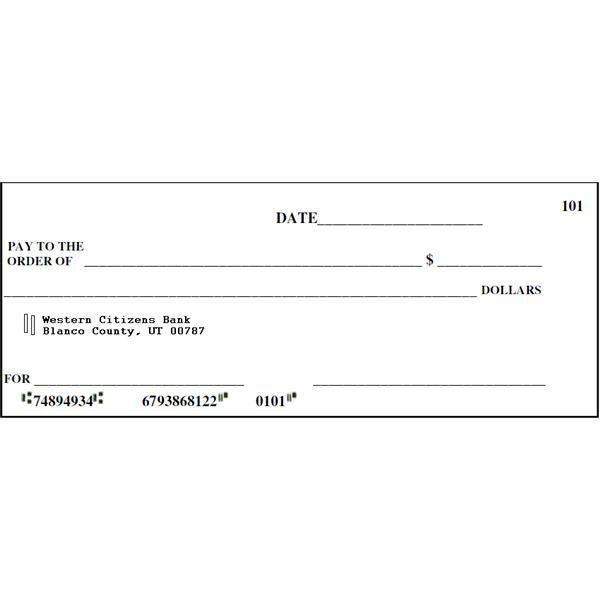 How to write checks to keep their money safe. What not to do, including examples. A review using visuals for participation. Digital Video Projector–laptop, and your favorite presentation software such as PowerPoint, open office, etc. If your students have their own laptops, iPads or other devices, you can send materials straight to them. You can always go with the classic worksheets if all the students do not have electronic hardware to work on. An overhead projector with examples of checks, either blank or already filled in. A DVD player and a pre-made DVD with the slideshow on it (made on your computer). Pre -made poster pictures to demonstrate the lesson visually. Start by explaining to the students that they need to use a permanent ink pen to write checks. Pencils or erasable ink is not accepted. Instruct the proper way to write the date. Example: February 25,2011 instead of 2/25/11; however, 2/25/2011 is acceptable. Point out to students it is important to use proper case when writing the payee’s name. Example: Somewhere Food Company instead of somewhere food company or Somewhere food company. Now show them how to properly write the amount. Example: $95.00/100 instead of $95.00, or $95. Next instruct them on writing out the amount. Example: Ninety Five and 00/100—————————————-Dollars. Be sure to make it clear that it is best to write in cursive and use proper case when writing out the numbers. Be sure to stress the importance of not leaving spaces that could be used by an embezzler to write in a larger amount on your check. Last but not least, stress the importance of signing the check. Give examples of how this can cause all sorts of problems, such as late fees, because the check could not be cashed. Be sure to instruct them about how they can incur fees for leaving off the signature. You will need some blank checks. 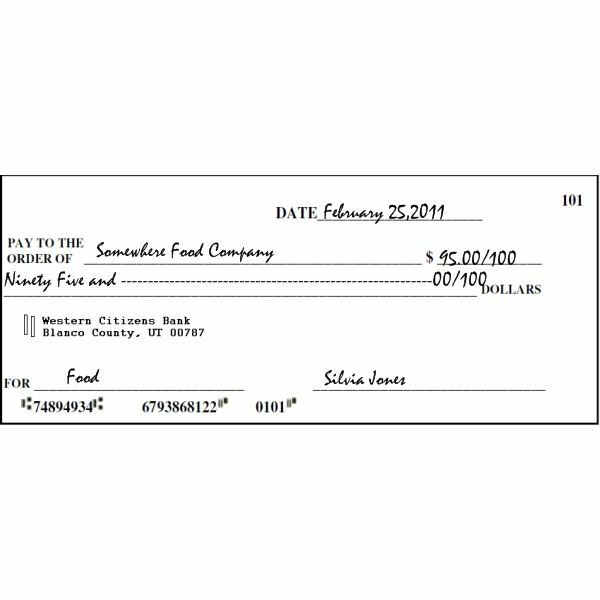 Have the students write a check reflecting the current date. Give them a verbal test by asking them to write a check to a person or place of their choice. Now just allow them to complete the check themselves, and have them sign it with their real name. Based on the quality of their work, you will have a good idea if the information stuck with them or not. First be sure they use proper case for the name the check is written to. If they leave too many spaces be sure to point this out. The spaces would count as points off. If they print instead of writing in cursive, this too would be incorrect. They should never use pencil or weak ink or erasable ink. This may require you to gaze around the room to see if anyone is using erasable ink. You can tell because of the eraser. Check to be sure they write the amount correctly in numerals, ($95.00/100). Do not accept $95. or just $95.00 as this would be incorrect. Be sure they capitalize the written numbers as in (N)inety (F)ive and…and so on. Finally make sure they signed the check. 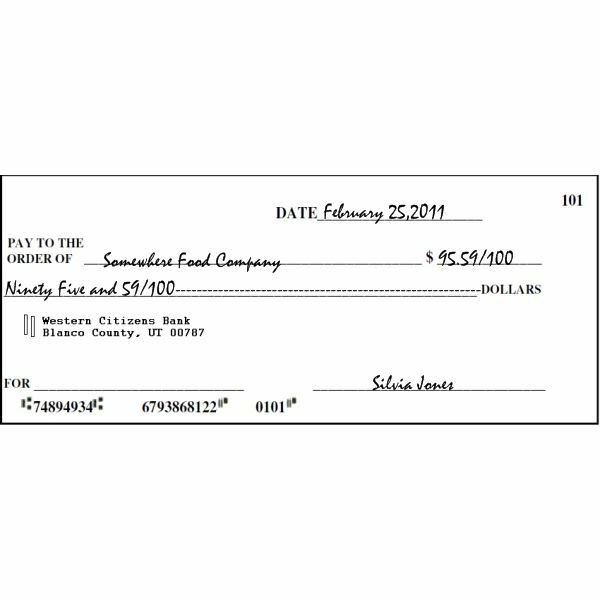 Now that your students understand writing checks is an important tool to learn, they can effectively manage their checkbooks in the future. Pictures: Modified by author from free downloaded checks from Money instructor-listed above.